Analysts at Credit Suisse downgraded Wal-Mart Stores, Inc. (NYSE: WMT) from Outperform to Neutral. The price target for Wal-Mart has been lowered from $85 to $62. Wal-Mart shares closed at $60.03 on Wednesday. 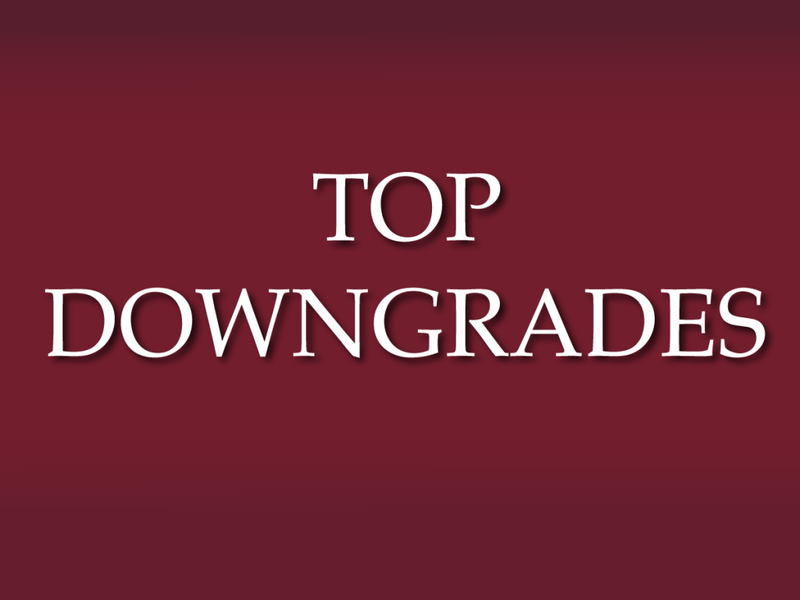 Analysts at JP Morgan downgraded Imprivata Inc (NYSE: IMPR) from Overweight to Neutral. The price target for Imprivata has been lowered from $24 to $19. Imprivata shares closed at $17.35 on Wednesday. Baird downgraded Manitowoc Company Inc (NYSE: MTW) from Outperform to Neutral. The price target for Manitowoc has been lowered from $22 to $15. Manitowoc shares closed at $16.35 on Wednesday. 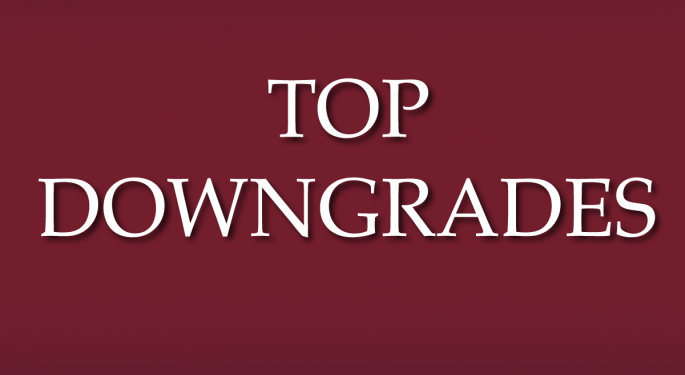 Analysts at Janney Capital downgraded Unitil Corporation (NYSE: UTL) from Buy to Neutral. The price target for Unitil has been lowered from $39 to $37. Unitil shares closed at $38.05 on Wednesday. Cowen & Company downgraded Basic Energy Services, Inc (NYSE: BAS) from Outperform to Market Perform. Basic Energy Services shares closed at $4.39 on Wednesday. Analysts at Argus Research downgraded Dunkin Brands Group Inc (NASDAQ: DNKN) from Buy to Hold. Dunkin Brands shares closed at $41.54 on Wednesday. Oppenheimer downgraded Rexnord Corp (NYSE: RXN) from Outperform to Market Perform and removed the price target of $27.00. Rexnord shares closed at $17.84 on Wednesday. Ladenburg Thalmann downgraded American Water Works Company Inc (NYSE: AWK) from Buy to Neutral. American Water Works shares closed at $57.14 on Wednesday. Analysts at BMO Capital downgraded Mead Johnson Nutrition CO (NYSE: MJN) from Outperform to Market Perform. The price target for Mead Johnson Nutrition has been lowered from $99 to $89. Mead Johnson Nutrition shares closed at $71.38 on Wednesday. Analysts at KLR Group downgraded Matador Resources Co (NYSE: MTDR) from Hold to Reduce. Matador Resources shares closed at $27.02 on Wednesday.